Jurgen Klopp has officially been named manager of Liverpool F.C. Although practically the whole internet predicted it beforehand, Liverpool made it official today. Unsurprisingly, Klopp’s already shaking things up. One repercussion of Klopp’s appointment is the firing of Sean O’Driscoll and Gary McAllister, Liverpool’s former assistant manager and first team coach had just joined the club in July. Their positions will be taken up by Peter Krawietz and Zeljko Buvac at Anfield. Buvac and Klopp worked together closely at Borussia Dortmund. Krawietz, 43, and Buvac, 54 – nicknamed “the brain” – previously worked alongside Klopp at both Mainz and Borussia Dortmund. Krawietz is set up to be Klopp’s assistant coach and video analyst, while Buvac will act as assistant manager. The move shows how supportive Liverpool is of Klopp with the speed at which they recruited his two former assistants and hired them. His resume proves he’s more than worthy of a chance in the EPL. 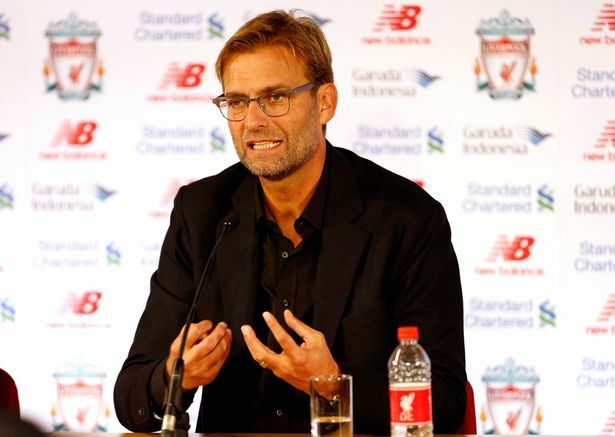 Klopp’s first chance to talk with the British media was everything you’d expect. Even with thinly veiled jabs and the Premier Leagues biggest mouth, Jose Mourinho. Klopp actually cut a year long sabbatical short to jump on the opportunity to coach Liverpool FC. And his phrasing of the normal one is a reference to Mourniho’s self-title, “The Special One”. In less than twenty-fours hours Klopp already has Liverpool headed in new and exciting directions. Can’t wait to see what is sure to be one of the Premier League’s most entertaining managers has up his sleeve in the upcoming weeks.